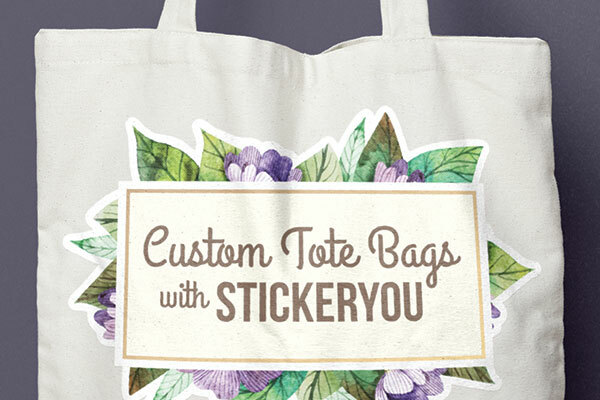 Create Custom Tote Bags with StickerYou! We are loving this new trend of "totes adorbs" tote bags. We've seen lot of different versions or varieties of this practical shopper style bag around, especially during the summer months. Thanks to the light-canvas material and durable yet spacious interior, you can "tote" around everything from textbooks to tablets. With fall around the corner, we've been seeing even more of these reusable bags popping up with images and slogans. Now with StickerYou, you can unleash your creativity on the ever-popular tote bag and design your own. Here's how! Go to a craft store an buy a blank canvas tote bag. Then go to StickerYou.com and create a custom iron-on transfer. You can upload your own image, use our design tools to create an image, or choose a design from our extensive art gallery. Choose a size that will fit your bag and a quantity that will suit your needs. Then just follow the iron-on directions in your package for applying the iron-on transfer to your bag. 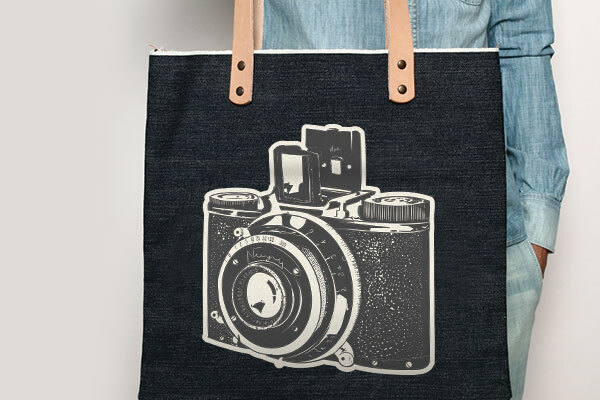 Create your own custom tote bags to fit your personal style, interests or hobbies. All custom iron-ons are die-cut to the shape of your design so whatever your artwork may be, you can be sure it will look great on your custom bag. These are great bags for carrying books or beach gear, for running errands and more. Stuff your custom tote bag in your purse and take it shopping with you for an eco-friendly bagging solution. 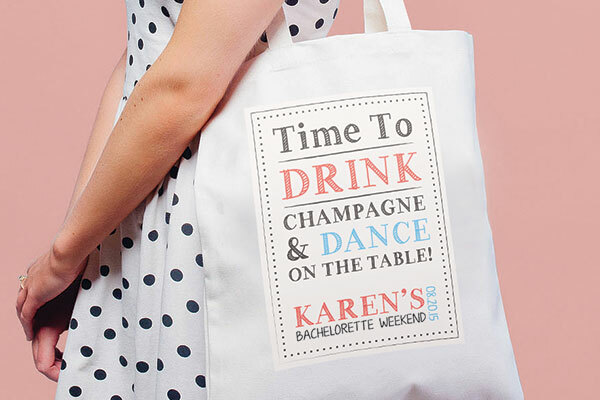 Fun tote bags make an awesome (and easy, and affordable) gift idea for friends and family. The customization enables you to make a bag that is really personal and unique to them. Make custom tote bags for the holidays, for birthdays, special events and more. Add whatever names, images, text you like to make each bag personal. Is your business hosting and event or attending a party? 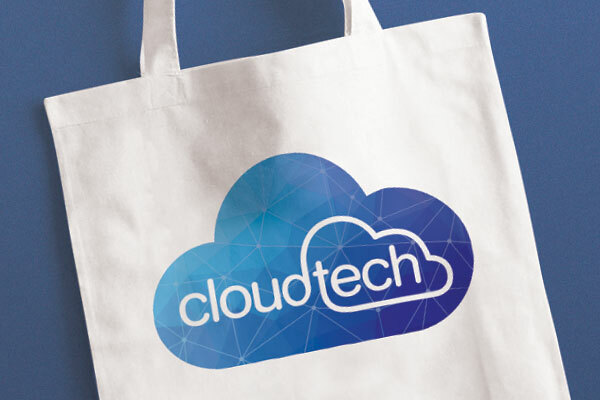 Custom branded swag bags are a great way to get your branding in front of the people. Give away tote bags at company parties or to new employees to welcome them to your team. They will appreciate the small gift and you will appreciate the cost. Create one-of-a-kind tote bags to give to special customers to thank them for their loyalty and keep your brand top of mind. Go online today, at StickerYou.com and start creating your custom tote bag! For more information on how to apply custom iron-ons, check out this helpful video!